Joan Chadde, director of the Michigan Tech Center for Science and Environmental Outreach, presented “Promoting High School Students’ Interest in Natural Resource and Environmental Career Paths” at the North American Association for Environmental Education Conference in Madison last week. The session described the program that provides 20 Detroit high school youth with a free opportunity to experience Michigan’s Upper Peninsula and the campus of a natural resource university. Students complete pre/post surveys to measure changes in their interest in natural resource career paths. Many at Michigan Tech supported the program, including Housing and Residential Life, School of Forest Resources and Environmental Science, College of Engineering, Dept. of Civil and Environmental Engineering and many others. 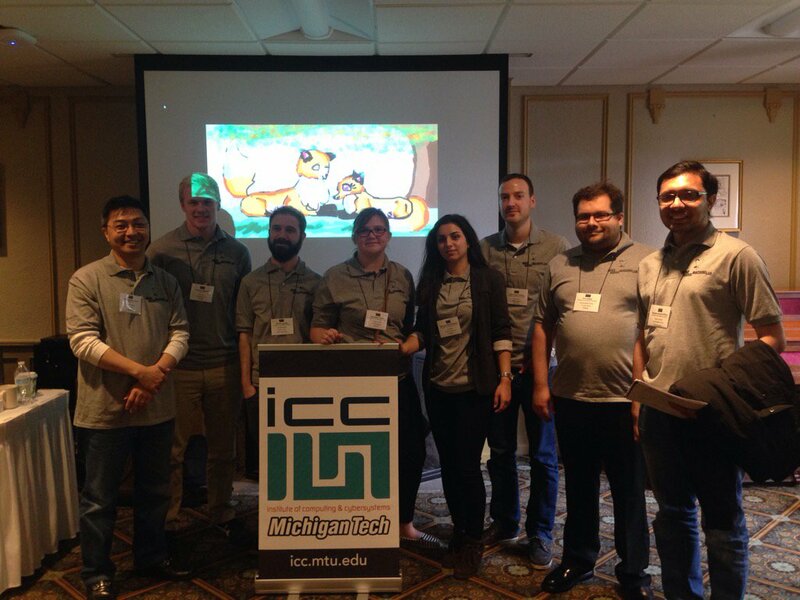 This past week, Dr. Myoung “Philart” Jeon and seven of his students from CLS and CS attended the International Conference on Automotive User Interfaces and Interactive Vehicular Applications at the University of Michigan. 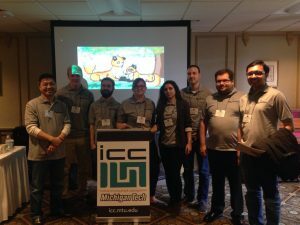 Dr. Jeon and his team received a tremendously positive response to the tutorial they hosted titled “In-Vehicle Auditory Interactions: Design and Application of Auditory Displays, Speech, Sonification, & Music”. The Outdoor Wire reported that the Michigan Alliance for Environmental and Outdoor Education honored several Michigan educators at its annual conference last weekend. They include Lauri Davis, a Houghton High School teacher who works with Michigan Tech in its summer professional development program for teachers. Ted Bornhorst, executive director, A. E. Seaman Minera Museum land Joan Chadde, director of the Center for Science and Environmental Outreach, hosted a group of 30 middle-school students, two science teachers and two chaperones from Brimley Area Schools Sept. 28-30. The Brimley Area Schools student population is 54 percent Native American and 51 percent low income. The special field trip was organized by Bornhorst with Brimley teacher Mary-Beth Andrews who was accompanied by teacher Chris Wheatly. Andrews attended the Keweenaw Mineral Days mineral collecting event held by the museum during the summer which initiated the idea of bringing a group of her students to the Keweenaw Peninsula. She gained permission from the superintendent and school board, and raised all necessary funds, to provide her students with a unique and motivating Earth science and STEM-focused field trip. 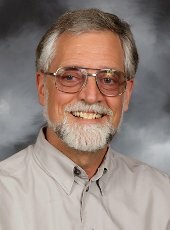 “We were pleased to provide this unique opportunity for the Brimley students that may spark their interest to pursue a STEM degree at Michigan Tech,” explained Bornhorst.